The internationally renowned actor is honoured for her contributions to Canadian film, television and activism. Bio: For over three decades, Tantoo Cardinal has dedicated her life to the arts and ensuring that Aboriginal Peoples are well represented within them. As an actress, some of her most notable credits include roles in the films Black Robe, Loyalties, Education of Little Tree, Smoke Signals, Legends of the Fall and Where the Rivers Flow North, as well as television roles in Canada: A People’s History, Moccasin Flats and North of 60, for which she won a Gemini award. She is also a founding member of the Saskatchewan Native Theatre Company, which encourages young Aboriginal people to express their creativity and get in touch with their heritage. For all of her artistic endeavours, Cardinal has received many accolades and honours. In 2010 she was inducted as a Member of the Order of Canada for her contributions to the “growth and development of Aboriginal performing arts in Canada.” Earlier this year, ACTRA chose to honour Cardinal for the 100th anniversary of International Women’s Day. 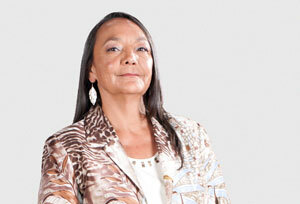 She has also received an Outstanding Lifetime Achievement award from Women in Film and Television (WIFT), a National Aboriginal Achievement Award and four honorary doctorates in various artistic fields. Profile: As Neil Diamond’s 2009 NFB documentary Reel Injun expressed, Aboriginal Peoples are some of the earliest stars of film but were quickly stereotyped as “noble savages,” the enemy of the cowboy and alcoholic down-and-outs. And when it came to aboriginal women, roles were limited to those simulating the fictionalized Pocahontas legend. These are the kinds of stereotypes Tantoo Cardinal has been working against since she started acting. Raised in Anzac, Alberta, Cardinal discovered acting as a young aboriginal rights activist. Cast in a small role in a docudrama, she realized she loved the art of storytelling and saw the potential for the evolution of roles for aboriginal women in film. As opposed to being plotted, her acting career has followed her heart, she says, choosing to go where the “creative force” moves her. One of her favourite characters she’s portrayed is Bangor from Where the Rivers Flow North. A servant and lover to Rip Torn’s stubborn 1920′s lumberjack, Bangor is a layered character that reminded Cardinal of the many women who raised her and with whom she grew up. “[She] was part of a world that not a lot of people were aware of,” says Cardinal. However, she notes that throughout her career she has been battling the prevailing attitude that if a role is to go to an aboriginal person, there needs to be an explanation for why the character is aboriginal. “That’s a frustration,” she says. “Rather than accepting that we’re a part of this society, that we’re a part of the mesh, [there's always a rationalization],” she says. Now in her 60s, Cardinal has seen attitudes and awareness around Aboriginal Peoples change since the beginning of her career. A highlight was 1998′s Smoke Signals, a modern and compelling story about the lives of a community on a Canadian reserve. The all-aboriginal cast and modern viewpoint led many to consider the film a breakthrough for Canada’s aboriginal filmmaking community. One of her greatest prides is seeing her son, Cliff Cardinal, become part of the arts community himself as an up-and-coming writer. One of the best ways to change a prevailing viewpoint is to become part of the conversation, she says. 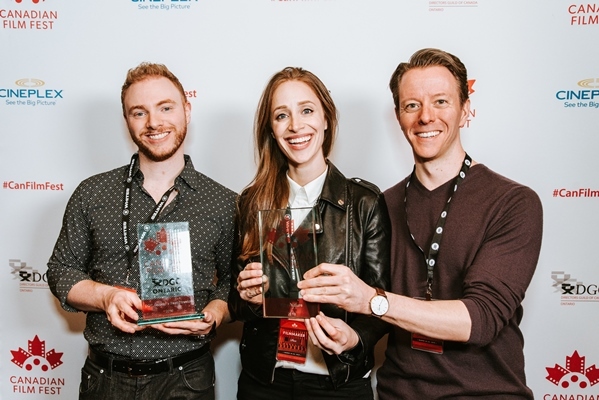 And Cliff is doing just that, having recently penned and staged his first play, Stitch, through Toronto’s SummerWorks festival. Cardinal is joyful when she talks about her son’s pursuit of the arts. She knows, however, that her son has entered a tough business. An activist to this day, Cardinal continues to fight for what she believes is right. On Aug. 23, 2011, she and fellow Canuck actor Margot Kidder were briefly arrested outside the White House while protesting the construction of a pipeline from Alberta to Texas.